Home > News > Voter ID pilot – Please read this, you NEED your ID to vote! We are taking part in a pilot scheme, run by the Cabinet Office, that will mean voters within the borough will need to show ID before they can vote next May. Joining Bromley are Gosport, Swindon, Watford and Woking who have also volunteered to take part in the trial and it is likely to be the first in a series of pilots to allow the Electoral Commission and Cabinet Office to evaluate the impact of asking for ID before a decision is taken on whether or not to roll it out nationally. The move comes after reports of alleged electoral fraud through voter impersonation more than doubled between 2014 and 2016, according to national figures from the Electoral Commission. Many countries around the world have already made it a requirement to prove identity at a polling station including Northern Ireland. What ID can I bring? a driving licence (including a provisional licence) which is not in the form of a photocard. What if I cannot provide any of the ID listed above? You can apply for a postal vote or proxy vote or you can apply for a Certificate of Identity. To apply for a Certificate of Identity you will need to complete an application form. Download the Certificate of Identity application form. Alternatively copies are available at Main Reception, Civic Centre, Stockwell Close, Bromley BR1 3UH. confirm that the applicant is the person named in the application. Completed applications must be submitted in person at Main Reception, Civic Centre, Stockwell Close, Bromley BR1 3UH by 5pm on Wednesday 2 May 2018. Upon receipt of a successful application, a Certificate of Identity will be provided to the applicant for them to take to the Polling Station to enable them to vote. What if I am acting as a proxy for someone else? You, as the proxy, need to take your ID to the polling station. You do not need to take the elector’s ID. What is the procedure in the Polling Station? How is Bromley Council going to inform people about the ID requirements? It is essential that every eligible elector is made aware of the requirement to identify themselves before they can vote. They will be made aware of the need to do so by an extensive public awareness raising campaign designed and delivered by the Local Authority in partnership with the Cabinet Office and Electoral Commission. What happens if people don’t have ID? Will they be turned away? 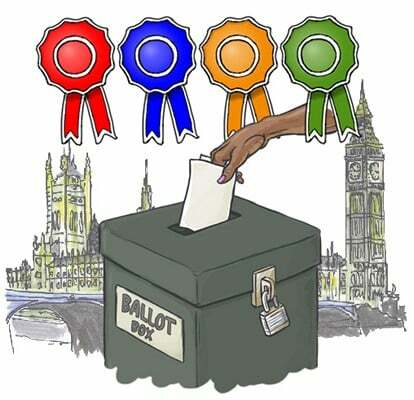 The Cabinet Office is working with local authorities to make sure every eligible elector knows that they need to bring ID to a polling station to vote – there will be extensive and tailored awareness raising campaigns in each pilot authority and care will be taken to ensure that electors are able to provide adequate identification. If they are unable to do so they will not be able to vote. What happens if I have a postal vote? There is no change to the postal voting process. When you apply for a postal vote you provide ‘personal identifiers’ (a specimen of your signature and your date of birth) and these are used to confirm your identity when you complete your postal vote.